Tofurky Ham Roast, New Mac N Cheese, And A Vegan Ice Cream Cookie! Every year the vegan food industry just gets more and more exciting. 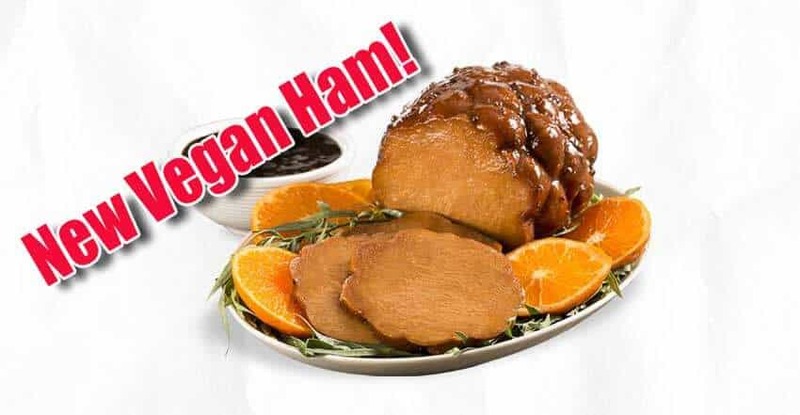 If you are a vegan health purist then vegan ham may not excite you. For everyone else, the Tofurky Ham Roast is like Christmas morning. Literally. The smell of ham cooking on Christmas morning will always be stuck inside my head. That was what ever Christmas morning smelled like at my house and while I don’t want any ham in my house now, it brings back good memories. 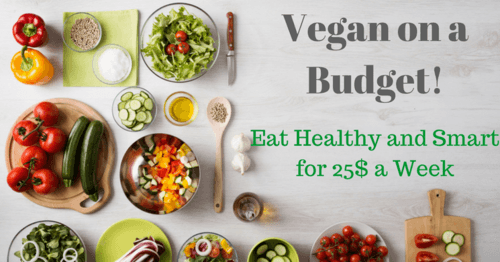 We have written several articles this year about how much vegan food choices are exploding. 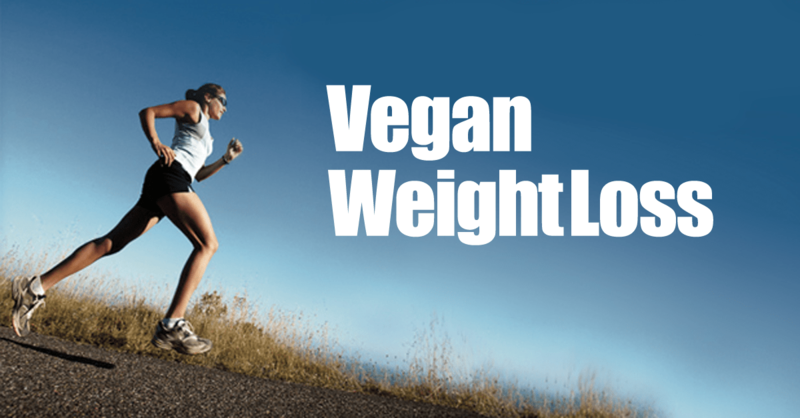 A lot of people have mixed feelings about huge non vegan companies selling vegan products. 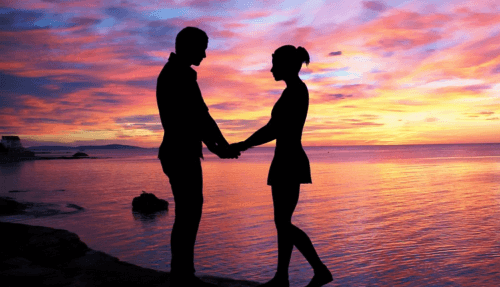 We think it’s great. 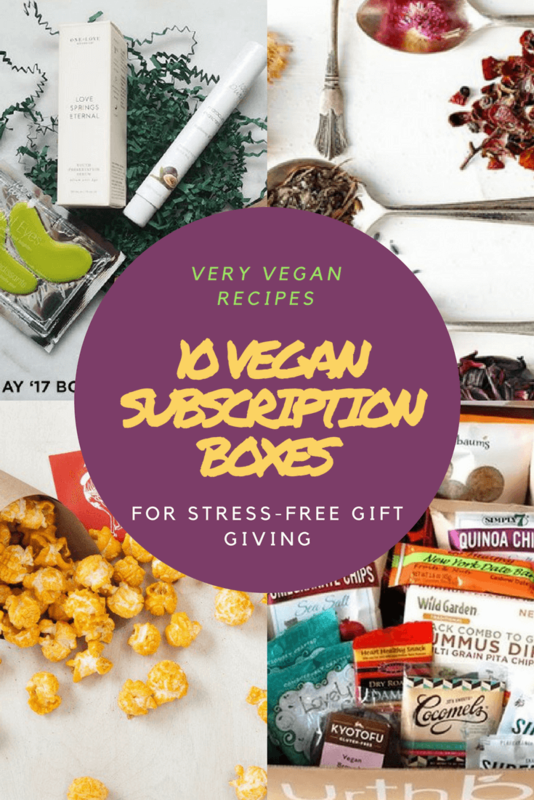 Of course the vegan companies we know and love are creating new vegan products as well. There are a whole batch of new and exciting vegan foods hitting stores this year. Some of them are on store shelves now. We are going to do a Tufurky Ham Roast review as well as share several other new vegan products with you. Our favorite might just be the new vegan Mac And Cheese offering from Field Roast. The new Field Roast Mac n’ Cheese looks really good though. It’s so hard to decide! Was anyone more excited that we were when we heard about the new Tofurky Ham Roast? It seems like they really went all out for this product to make it something special. This is a tender ham roast with a rich smokey flavor. 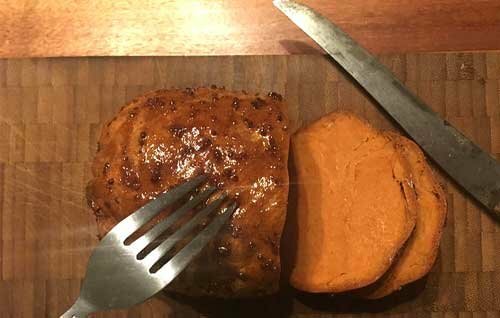 As if that weren’t enough, Tofurky teamed up with HopWorks Urban Brewery to make a sweet, tangy glaze that takes this vegan ham to a whole new level. Right now the new Tofurky Ham Roast is available on the east coast at Safeway and Pricechopper. On the west coast you can find it at New Seasons Market and Food Fight Vegan Grocery. Like their other products it should roll out to other stores nationwide as the year progresses. 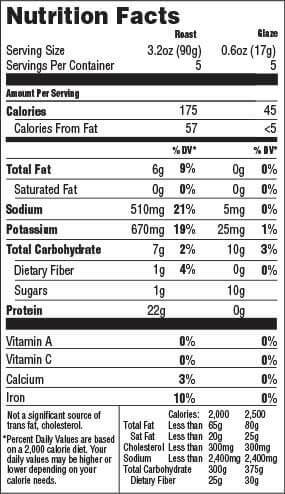 We haven’t seen a lot of reviews on this ham but we did find a pretty detailed description from the folks at Rodales Organic Life. Their review was mixed with the main concern being the level of salt in the ham. It is worth pointing out that the reviewer is not vegan and had actual ham in the fridge to compare the taste too. I suspect that, like most other things, people who don’t ever eat meat will have a different opinion of how it tastes. 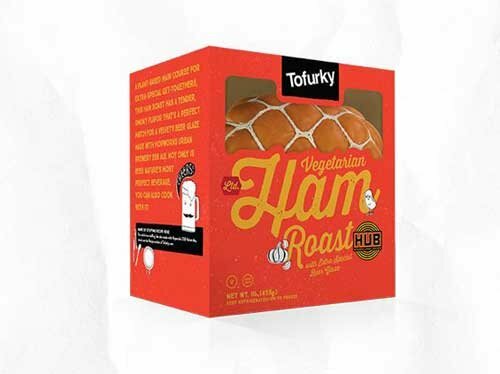 This new exciting vegan ham roast from Tofurky was rolled out for Easter this year to limited stores and markets but it’s supposed to be released nationwide in time for Thanksgiving and Christmas. For more information you can go here to learn more about the Tofurky Ham Roast. 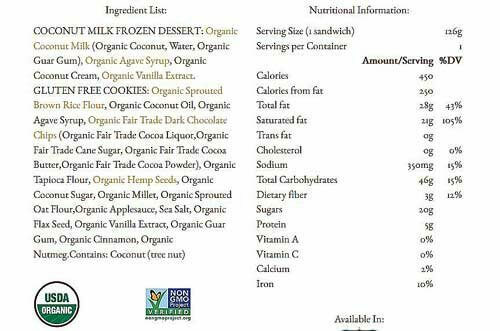 You may already be familiar with Coconut Bliss non dairy frozen desserts. I can’t tell you how many times I have dug into a carton of that stuff and drowned my sorrow. I have also celebrated good times with it as well. This new product is a take on the traditional ice cream sandwich. 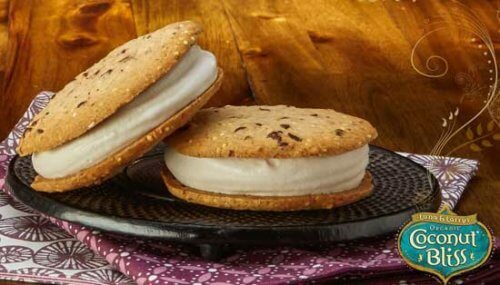 You get that recognizable frozen dessert you already know and love incorporated into a delicious cookie sandwich. I really like that the cookie is made with hemp seeds as one of the key ingredients. I have been adding hemp seeds to my smoothies and other recipes lately because of all the great health benefits of hemp seeds. They have a couple of flavors so your biggest decision might be deciding which one to try first. You can choose from dark chocolate or vanilla flavors depending on your personal tastes. Being a chocolate freak it’s no surprise what my choice is. This is a company that prides itself on using only the highest quality ingredients and it shows in these cookie sandwiches. 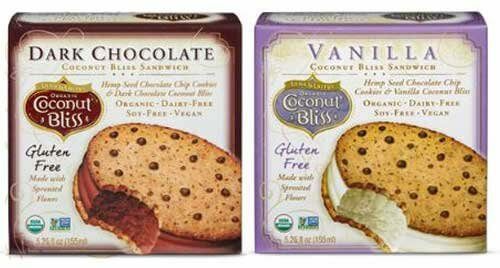 Both flavors of the coconut bliss sandwich are made with organic sprouted brown rice and oat flour. You’ll also find they contain organic hemp seeds as well as organic dark chocolate chips. The chocolate chips are also certified fair trade so that’s another thing you can feel good about when buying this product. In fact when you dig into the ingredients you will see much of it is certified fair trade and organic. A lot of people already love the Luna And Larry’s Coconut Bliss brand and this should even further their footprint in the non dairy market. But does it taste good? That’s the question you want to know, right? All indications from people who have gotten their hands on it is that it’s amazing. If you want to learn more about this new vegan ice cream sandwich product you can read more about Luna And Larry’s Coconut Bliss Sandwich Here. Just when you thought vegan mac and cheese couldn’t get more interesting, Field Roast steps on the scene and mixes things up. I have never been this excited about a vegan macaroni and cheese product. I will admit I am biased about the Field Roast Cheese Line. I think they have the best vegan cheese products hands down. 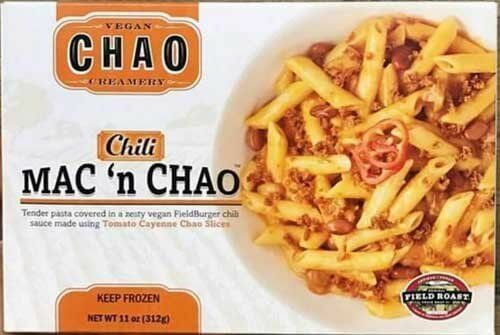 Just like Velveeta took their cheese reputation to the top with their Velveeta Shells and Cheese, I think the same thing will happen with Field Roast Mac n’ Chao in the vegan market. 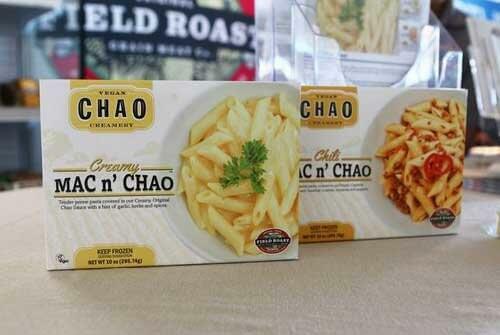 At the recent Natural Products Expo, the new Field Roast Mac n’ Chao products were what everyone was talking about. 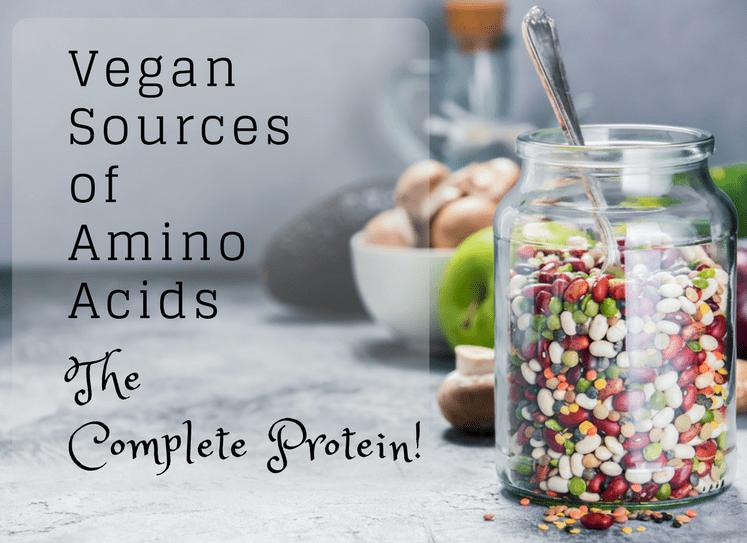 They had all the buzz at the expo and vegan bloggers like myself lost our minds. And for good reason. There are two flavors of the new Mac N Cheese from Field Roast and they both look like they will be incredible. 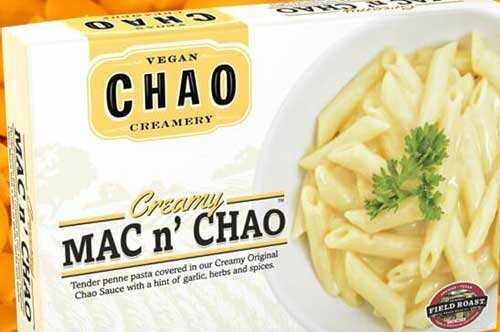 These two vegan mac n’ cheese products are hitting store shelves now and expanding throughout the year. If you get your hands on them, please comment and let us know what you think. For more information on Field Roast Products Go Here.